The information about this family has been extracted from a genealogy compiled by Dohrman J. Sinclair II of Ohio, USA, and published privately in 1970. However, most of the compilation is about the American descendants of James Sinclair and only a few details are about their Irish roots and English cousins who were descendants of James’ brother, John. 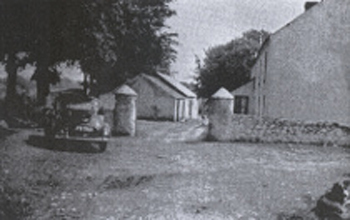 The home of the Sinclairs at Moymuclemurry, near Moneymore in Co. Derry.